Madison v. Bd. of Sup’rs of Loudoun Cty., Record No. 170934, Aug. 29, 2018. SCV (per curiam order). VLW No. 018-6-063, 5 pp. 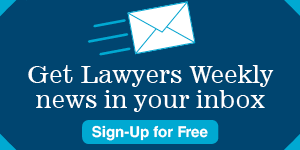 *Correction: The description of this order in the Virginia Lawyers Weekly Daily Alert on Aug. 30, 2018 incorrectly stated that the petitioner is generally barred from filing more actions against Loudoun County without legal representation. The court’s order prohibited filings against the County only in the Supreme Court of Virginia. Loudoun County Circuit Court may impose its own separate pre-filing injunction.